I remember the first time I ever tasted coffee. I was about 10 years old and trying to recreate an iced latte - which according to my new Spice Girls book - was Posh's favourite drink. I mixed the instant coffee with the milk, poured it over the ice, took a great, big sip - and HATED it. Absolutely, positively, could. not. stand. to take another sip. Fast forward to now - and I just can't get enough of the stuff. It's the first thing I reach for in the mornings when I wake up and the thing I yearn for most at 4pm, at work, when I'm heading into a brain slump. I'm not too fussy when it comes to my coffee either. I'll happily drink instant - and I've even tried coffee bags - but nothing really comes close to freshly made coffee, with lovely frothy milk, now does it? True Barista-standard coffee. It's the stuff dreams are made of. But what if I told you, you could make that kind of coffee at home? Well, it's true because yep, I've now got my very own coffee machine, the Sage Bambino, and my life has honestly been transformed. What is the Sage Bambino? Put simply, it’s an entry-level coffee machine which has everything you need to create barista-standard coffee, yourself, at home - making it perfect for someone like me who enjoys great coffee but has no real idea how you actually make it. It’s been created by the team behind Sage by Heston Blumenthal, so you know it’s going to be good, and despite being smaller than other coffee machines in the Sage range, it still packs all the same technology so you can create that perfect cup of coffee. What’s included as part of the kit? It’s got pretty much everything you need to make the perfect cup of java. There’s a filtrated water system at the back so you’ve always got fresh water, a ThermoJet® heating system which achieves the optimum extraction temperature in just 3 seconds, a 19 gram dose so you’ve always got the right amount of coffee and even an automatic milk frother. The only thing missing is a built-in coffee grinder. Definitely the automatic milk frother – it allows you to adjust the temperature of your milk and the amount of foam so you can make the perfect cup of coffee to suit your tastes. It’s all completely automatic so will heat itself up and switch off as soon as the right temperature is achieved. I also loved the fact that the steam wand automatically cleans itself after use (which I know I would definitely forget to do otherwise!). Will I need any other kit to go with it? If you really wanted to go all out, you could also invest in a coffee grinder so you can grind your own beans – but to be honest, I’ve been using ground coffee and I’m perfectly happy with the result! One of the big draws of this machine is how compact it is, meaning it doesn’t take up much space in your kitchen, so there’s no real need to add anything else on (unless you really want to!). The Sage Bambino costs around £400. But is it worth the investment? We’ve been using ours for the last couple of weeks and I have to say, it really is. Yes, it’s an expensive piece of kit but when you consider all the incredible features it has, compared against the price of some coffee machines, it’s actually incredible value. Not to mention the amount we now save by making our own in the morning rather than relying on the coffee shop at the station! Well one thing is for sure, I certainly won't ever be making iced lattes with it (I still carry those scars) BUT I am able to make killer Espresso Martinis! 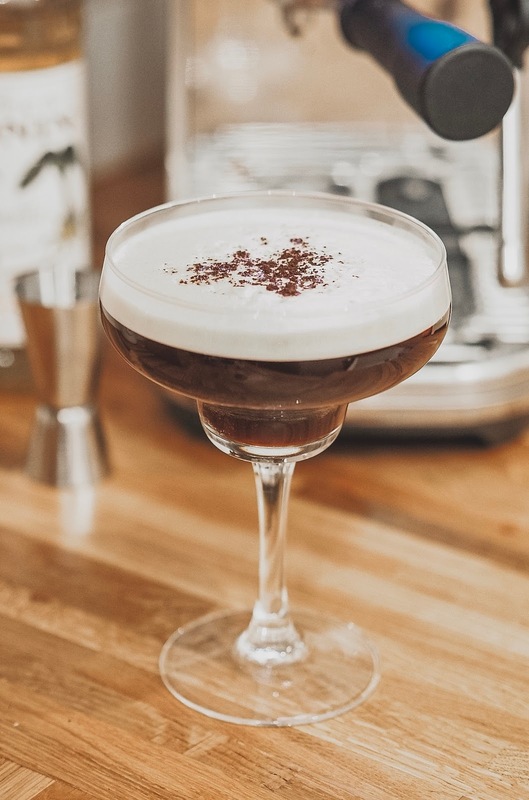 If you’ve ever tried to make an espresso martini at home using instant coffee, you might have noticed that it often results in the foam on top becoming ‘bubbly’. 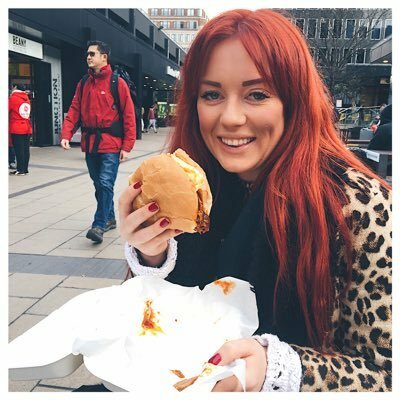 I attended a cocktail masterclass a few years ago and the fact that you need to use fresh coffee is the one piece of advice I’ve always remember the bar-tender giving me! 3. Secure the lid and shake the living daylights out of it! This is what makes the lovely frothy top! 4. Pour gently into a cocktail glass, top with cocoa powder and enjoy! * I was gifted the Sage Bambino in exchange for this review.